Capture the beauty within this two-way sliding curio. 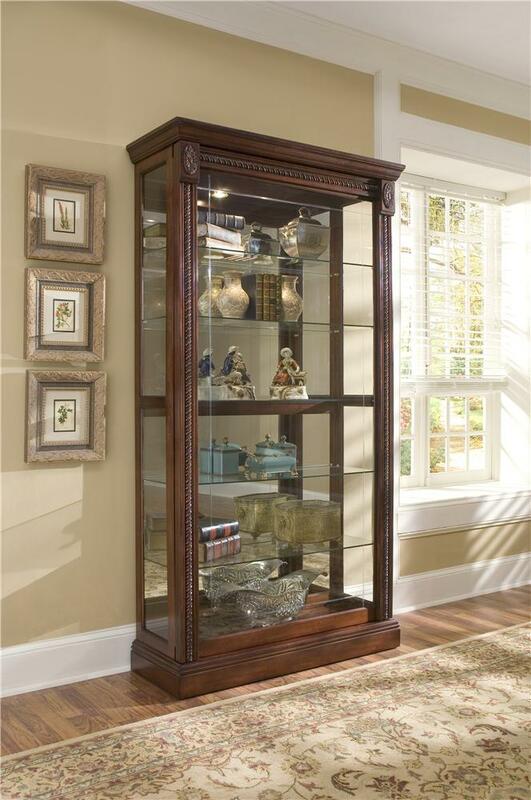 It features adjustable glass shelves, wood frame carved detailing. 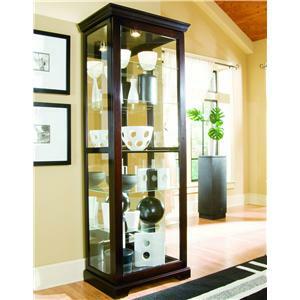 A great way to store a display decorative items or collectibles. Shown in the Medallion Cherry finish. The Curios Medallion Cherry Two Way Sliding Door Curio by Pulaski Furniture at Miskelly Furniture in the Jackson, Pearl, Madison, Ridgeland, Flowood Mississippi area. Product availability may vary. Contact us for the most current availability on this product.